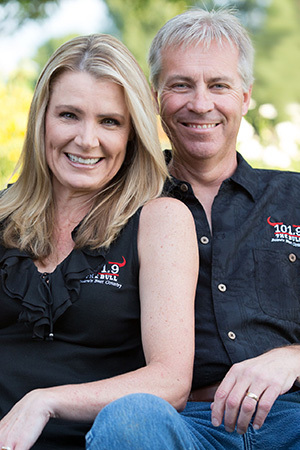 Kevin and Brenda Mee have been a fixture on the radio in the Treasure Valley since August of 1998. With stops at KIZN and KXLT locally, the Mees have amassed a very large, devoted fan base. Their community efforts have been unparalleled within the radio industry, raising money and awareness in countless selfless acts. Kevin and Brenda began their radio career as a duo in 1990, and began doing mornings together in 1994. Working at various stations in Colorado, Wyoming, and South Dakota, the Mee’s developed their own morning show. Combining their community efforts, humor, and ability to relate to their audience, made them a success in each of the markets they worked.